In a down-to-the-wire finish, the Washington State Senate passed the Neighborhood Safe Streets Bill (HB 1045) 45-2 in the very last minute before the 5 p.m. cutoff for considering policy bills from the opposite chamber. Sen. Andy Billig (D-3) led the effort for a special order of business to bring the bill to the floor for a vote. The bill had received overwhelming bipartisan support in the House, passing 86-10 in the 2013 session and unanimously in the 2012 and 2011 sessions. Sens. Brian Hatfield (D-19) and Jim Honeyford (R-15) were the only recorded no votes in the Senate. The bill will save cities and towns money and cut red tape when they choose to set speed limits at 20 miles an hour on residential and business non-arterial streets; the fiscal note estimates a savings of $1,000-$5,000 for each traffic study requirement eliminated. 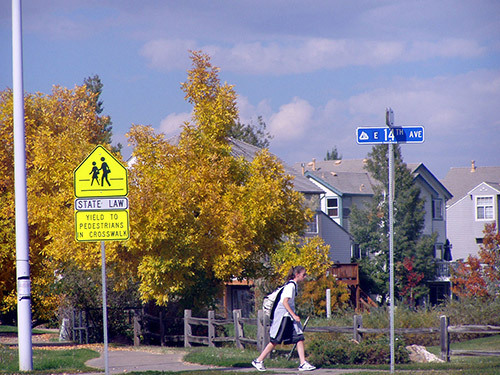 It improves government efficiency and allows cities and towns to spend money on actual safety improvements to reduce speeding, address cut-through traffic, and improve the safety of neighborhoods – especially for children and the elderly. 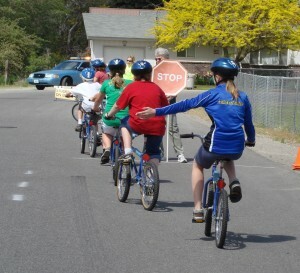 The Neighborhood Safe Streets Bill garnered support from numerous statewide organizations, boards, cities, and towns. Earlier this year in the House of Representatives, the bill was voted out with a strong 86-10 vote. 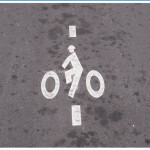 In the Senate Transportation Committee, it received a unanimous and bipartisan do-pass recommendation for passage, after a hearing that featured testimony from AARP, Association of Washington Cities, and Washington Bikes. It received no opposition by organizations in testimony or otherwise. After a quick pull in the Senate Rules Committee, the bill was passed up for a vote over the past four days of floor votes before coming up in the last possible minute. “We are thrilled by the outcome, which eliminates the state’s unnecessary hurdles for cities and towns to create safer streets. Rep. Ryu worked tirelessly to get the bill through the House. The Senate joined the House in a vote for safer streets and more efficient government, with Sen. Billig leading the charge,” said Washington Bikes Executive Director Barb Chamberlain. “Communities are asking lawmakers to give them more cost-saving tools and local options instead of mandates,” said the bill’s prime sponsor in the House, Representative Cindy Ryu (D-32). “Given the tight budget times we face, this bill will help local governments across the state. It removes an expensive state mandate that deters communities from lowering speed limits on non-arterial roads even when they recognize that lower speeds would make people safer or promote local businesses and jobs. After getting it through the House three sessions in a row with overwhelming bipartisan support, I’m so pleased to have finally achieved passage in the Senate with the same kind of vote,” she added. 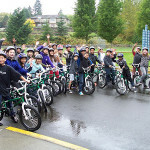 Washington Bikes worked closely with Rep. Ryu to develop and support the bill. In the Senate, the legislation was sponsored by Sen. Andy Billig (D-3). Sens. Tracey Eide (D-30) and Curtis King (R-14), co-chairs of the Senate Transportation Committee, supported the bill, with strong support from Sens. David Frockt (D-46), Ed Murray (D-43), and Joe Fain (R-47). 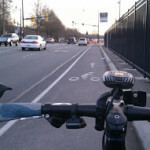 “Based on the strong bipartisan and statewide support, emphasis on saving taxpayers money, and its focus on making it easier to improve public safety, it’s easy to understand why the Senate took action on this bill in particular as it was running out of time to move bills,” says Washington Bikes statewide policy director Blake Trask. The statewide support for this bill included AARP-Washington, AAA-Washington, Association of Washington Cities, Childhood Obesity Prevention Coalition, the cities of Spokane, Seattle and, Kirkland, the Town of Winthrop, and public health and safety organizations like Tacoma-Pierce County Public Health, Washington Fire Chiefs, and the Washington State Public Health Association. This article was posted in Advocacy, Legislature, News, Safety. Bookmark the permalink. Follow comments with the RSS feed for this post. Both comments and trackbacks are closed.